One of the best techniques for safe Kundalini Awakening is this wonderful yoga breathing technique (pranayama). This particular exercise goes by many different names, including; Nadhi Shuddi Pranayama, Anuloma Viloma Pranayama, Alternate Nostril Breathing, Chakra Balancing Pranayama to name just a few. And to complicate matters further there are many variations on how to this technique as well :-). As you might have read Kundalini Awakening can sometimes pose challenges so it is important to go about awakening this energy safely and intelligently. 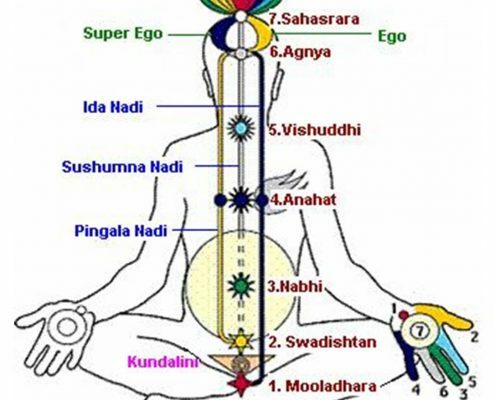 Preparing the body to handle Kundalini Awakening is an important aspect of the process and that preparation includes purifying the subtle channels and balancing the chakras. This is where Alternate Nostril breathing comes in as it is very effective in achieving those results. Essentially, Alternate Nostril breathing balances the 2 primary channels for the flow of kundalini called the Ida and the Pingala. From the illustration above you can see that these 2 channels weave around the central channel called the Sushumna. As you practice this technique the 2 channels come into balance and that triggers the flow of Kundalini Energy up the central channel, which is the experience known as Kundalini Rising. In addition, Nadi Shuddhi pranayama purifies the other subtle channels as well. This helps dissolve the blockages which is an important aspect of preventing kundalini issues. 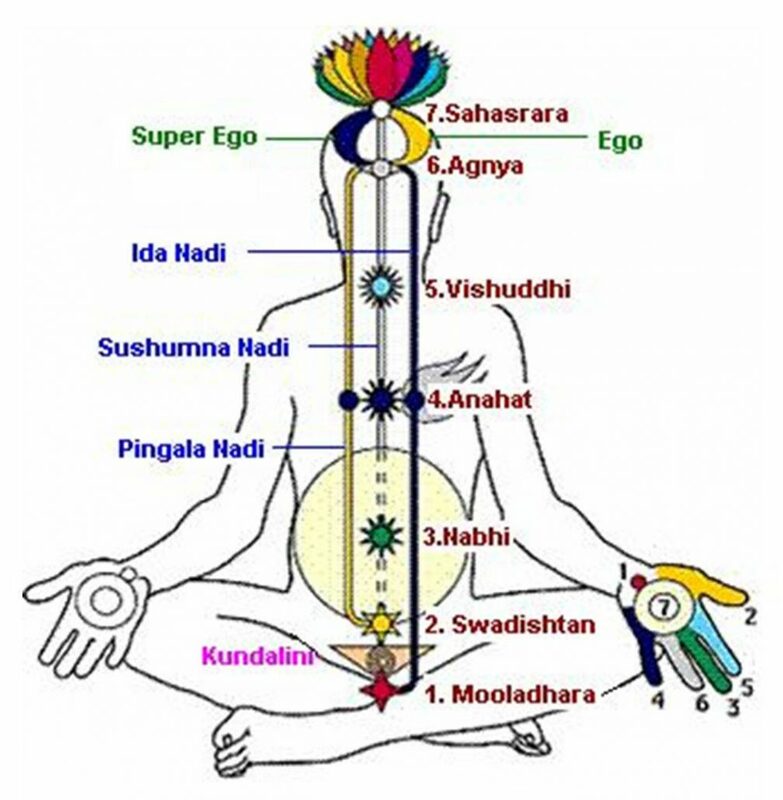 The purification process along with the balancing of the Ida and Pingala, helps to balance the Chakra points as well and all this works to increase the safe flow of kundalini. I would like to caution that the version of the pranayama taught in this video is an intermediate version and not the beginner version. You can find the beginner’s version of this technique here – Chakra Balancing Pranayama. In this version, you are going to include breath retention which is what makes it more advanced than the beginner’s version, but that also makes it more effective. The key here is to not overdo the exercise and hold your breath only as long as comfortable. Build up your rounds and capacity slowly over time. As with all things dealing with kundalini, a safe and sensible approach is warranted. Please read the Guidelines for Yoga Pranayama for more information on practicing this wonderful science. Also this technique will be added to the Online Yoga Pranayama Collection, which has other great techniques for you to explore and try. Start with 5 rounds and build up slowly from there. You can build up to 30 rounds in your session. 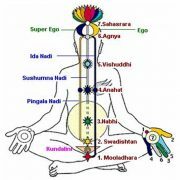 Safely awakens Kundalini to flow through the Sushumna, thus awakening the chakras. The flow of Kundalini through the Sushumna also induces meditative states of consciousness. Purifies the subtle channels thus helping to avoid Kundalini challenges. Calms the mind, promoting peace and tranquility. Creates harmony and balance, and brings the entire system into rhythm. Prepares the system for even more advanced Yoga Breathing Exercises. As mentioned above, since the pranayama used breath retention, you should go at a pace that is comfortable for you. Also, if you feel uncomfortable with the symptoms of Kundalini Awakening, adjust your practice accordingly. Do share your experiences with Kundalini Awakening with us in the comments section below and if you found this technique to be useful, please do share with other as well :-). My correct name is Harish.